In recent years we have seen some tremendous development in mobile applications development. The past few years saw an aggressive encounter between iOS and Android, increased efforts in making mobile transactions more secure and improvement in the user interface to make mobile apps more interactive and convenient. With more smart gadgets pouring into the market, the Mobile Applications will now focus on connecting all your gadgets to your smartphone. A dedicated application to control your appliances and gadgets will be the center of focus in 2017.
iOS ruled the mobile application industry, but with the growing popularity of Android and more and more smartphones featuring the famous operating system by Google, the industry will experience more emphasis on Android based applications. This year will be “Android First” year unlike before. With industries desperately seeking a way to enhance connectivity for consumers, messengers are gaining more and more attention of the developers. Aspirations are to boost engagement and experiences for consumers which have resulted in an addition of features like temporary stories, interactive stickers, audio and video calling options etc. Things will keep adding up this year, to make messengers more interesting for users. More interactions and transactions through mobile mean more vulnerability. The immense activity that mobile continues to generate, attracts hackers to play their games. Therefore, to ensure a safe and trustful user experience, the UX will have to embed impermeable security measures; systems that ensure no data spoofing or breach will become the focal point of most mobile applications developers. Over the past decade, industries have been emphasizing of shifting to mobile solutions. Although there is still a large space vacant in the consumer market, the year 2017 will see ascensions in mobile strategy. Combining cloud and other integrated solutions, mobile will grow to become an all-in-one solution for consumers. Ultimately, businesses failing to keep up with the rapid evolution and latest development trend in mobile application industry will face serious threats, threats that can only be controlled by taking a holistic approach towards mobile apps. Thank you for sharing your article. 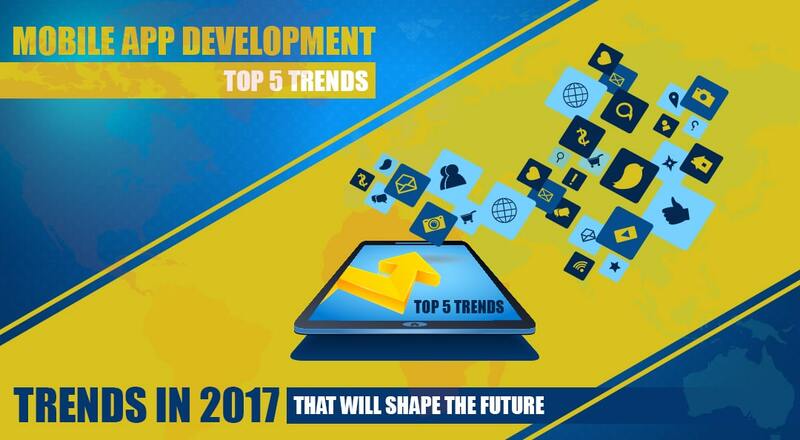 This is very informative article to mobile apps development trends.